It’s been a long time since Amazon last ran a protein powder Gold Box, but they’re always a great opportunity to stock up. 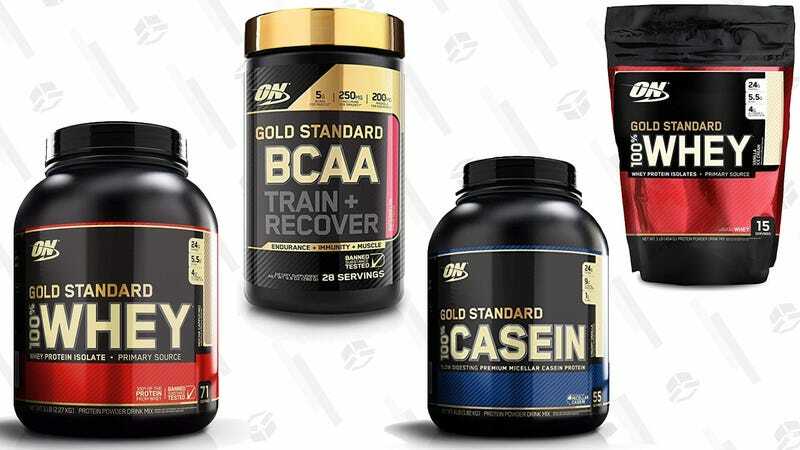 Today, a ton of varieties of Gold Standard whey, cassein, and BCAA are included, so find your favorite flavor before the deal expires at the end of the day. For context, most five pound jars of whey are down to $43 (or $41 with Subscribe & Save), which is about $15 less than usual, and at least for the mocha cappuccino flavor, the best price Amazon’s listed since 2010! Some others that I checked have never been as cheap as they are today. There’s no limit to how much you can buy, so stock up!